TV Host, Ebuka took to his IG page to share this photo as he and his beautiful wife, Cynthia rocked matching Mai Atafo tuxedo to Ifeoma Williams "Michael Jackson" themed party that held in Lagos yesterday. "It's a Michael Jackson themed party!! 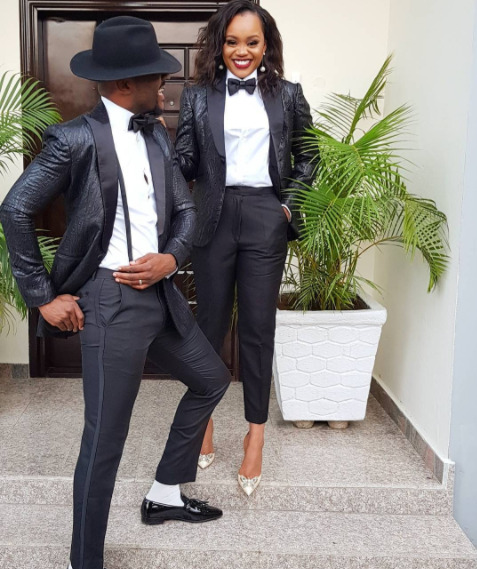 !His and hers tuxedo by @maiatafo#IphieStylish40"